Bing has been the primary search engine from Microsoft and it now will become the centeral part of the developers working with Microsoft technologies. Read this post to know in detail. Microsoft now wants their developers to make Bing as the central part of the picture being powered with a new platform unveiled at the Build 2013 conference. Bing Kit will let programmers mine the data available with the search engine by providing relevant information and translations. 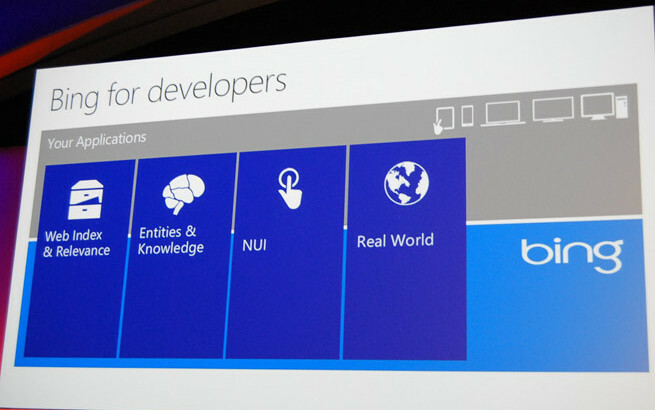 Bing platform unlike Google is morphing into a new creative mania by providing Bing’s data as a set of APIs for Windows App developers around the world to dig data for their applications. Microsoft Bing has always been much of a joke but this is an interesting move to attract more of the developer network. 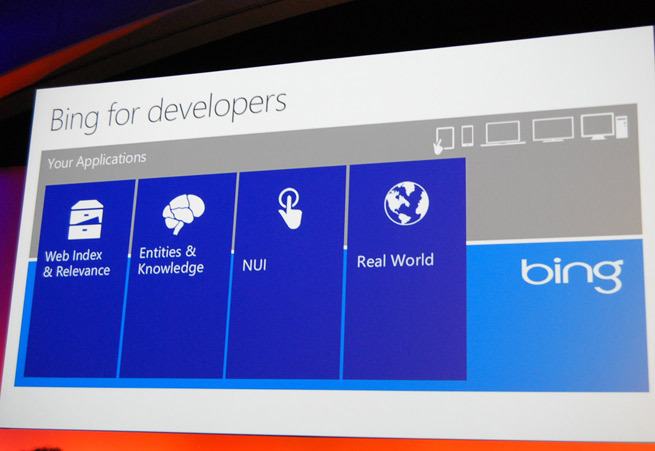 Natural User Interface is also an important aspect of Bing for Developers. If you are developer on other platforms will you stick there or move towards Bing now? Or will you stick to everything possible along with staying with other platforms? Share your views below. Windows 8.1 – Features, Integrations, Apps, What’s New?